VIRGINIA BEACH, VA (April 12, 2018) - As National Distracted Driving Awareness Month begins, AAA Tidewater Virginia is launching a new, multi-year initiative that aims to reduce deaths and injuries as a result of cell phone use by drivers. “Don’t Drive Intoxicated – Don’t Drive Intexticated” is the theme of AAA’s multimedia traffic safety education campaign created to make distracted driving socially unacceptable. New public service announcements (PSAs) are designed to help audiences understand that the consequences of using a smartphone while driving are the same as drinking and driving. The campaign targets drivers who would never consider drinking a beer behind the wheel, and yet, regularly engage with mobile devices that dangerously take their eyes, hands and minds off the road. AAA recognizes the impact that more than 50 years of public education efforts against alcohol-impaired driving have had across the country. Those campaigns helped to achieve changes to alcohol-impaired driving laws, increased enforcement, and, critically, a shift in public attitudes and behaviors toward drinking and driving. Although much more still needs to be done, anti-drunk driving campaigns and related efforts have helped cut the number of alcohol-impaired crash fatalities in half since the 1980s, according to the National Institutes of Health. In Virginia, over 50,000 people were involved in a crash that was attributed to distractions, a 21 percent representation of all the crashes in 2017, according to the Department of Motor Vehicles (DMV). In addition, 25 percent (208) of the fatalities on the road were a result of a distraction, a difference of 40 fatalities that were due to alcohol related crashes. There were 11,493 reported crashes related to alcohol with 248 fatalities. In all, 235,306 crashes were reported in the Commonwealth (DMV). 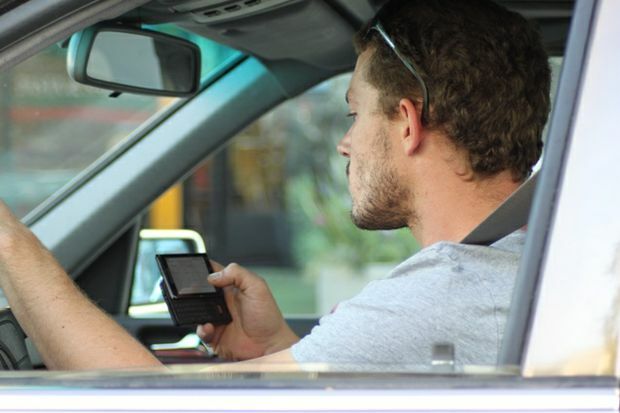 New research released by the AAA Foundation for Traffic Safety finds that even though 97 percent of drivers say texting/emailing while driving is a serious or very serious threat to their safety, 45 percent admit to having read a text or email while driving in the past month, and 35 percent admit to having typed one. AAA’s sobering new message makes it clear that the consequences of both alcohol-impaired driving and texting while driving are the same – deaths and injuries. Campaign messages will appear as public service announcements, on social media, at special events, in the AAA member magazine, and in AAA branches. The messages will also be incorporated into continuing AAA traffic safety programs offered in local communities. Drivers interacting with cell phones to perform tasks like texting or surfing the Internet are two to eight times more likely to be involved in a crash. Taking your eyes off the road for just two seconds doubles your chances of being involved in a crash. 59 percent of all teen crashes involve some form of driver inattention, and 12 percent of teen crashes involve cell phone use. Put it away. Place your mobile device out of sight to prevent temptation. Know where you’re going. If using a navigation system, program the destination before driving. Pull over. If you have to call or text while on the road, pull off the road safely and stop first. Ask passengers for help. If riding with someone, seek their help to navigate, make a call or send a message. Be a good passenger. Speak out if the driver of your vehicle is distracted. Don’t be a distraction. Avoid calling or texting others when you know they are driving. Everyone should prevent being intexticated. Just as drivers need to pay attention, so do pedestrians and bicyclists. Never call, text or play games while walking or cycling.